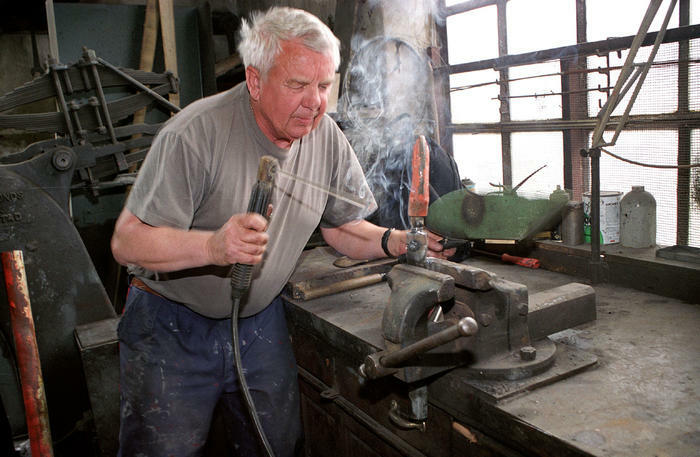 During the construction period the blacksmith was an important person. In the beginning he worked up in the mountain side, where he made himself a forge. There he heated the rivets until glowing. Then he passed them to the workers who riveted the pipes. In addition he was responsible for making and maintaining the workers’ tools. The smithy in Tyssedal is not in use anymore, but all the equipment is still intact and can be seen on the site.